Brian Howe grew up in Saint John, NB. 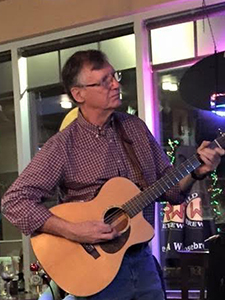 He’s been a miner, a bar musician, an oil worker, computer trainer, and most recently, a musician once again. He’s lived in Lynn Lake and Churchill, MB, Saint John, NB, Fort McMurray and now Calgary. 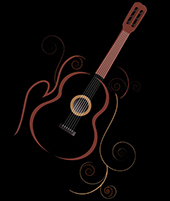 Carol Bloor grew up in Saint John, NB, and Kingston, ON, playing classical guitar before coming to Calgary in 1979. Music went on hold to pursue a career. She’s been a geologist, an engineer, a banker, a dealmaker and now, once again, a musician. 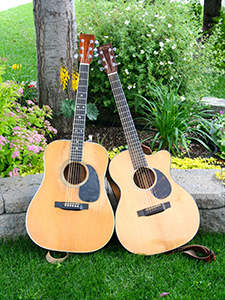 Named for the duo's six string guitars, Six by Six plays acoustic folk and bluegrass music from the 1960s forward. 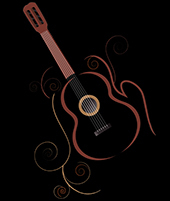 Their fingerstyle, flatpicking and songwriting weave together like a basket, filled with stories for the heart. Six by Six love small venues - coffee houses, folk festivals, seniors' residences, house parties - where they can really connect with the audience. 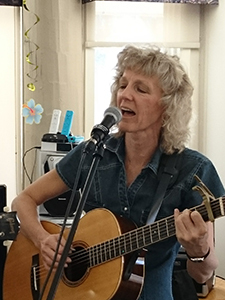 The pair met in 2015 and instantly admired each other’s music skills: Carol with her precise fingerpicking and metronome timing, and Brian with his ability to improvise fingerpicking and play sweet notes. Together, they create a unique style.